Christina (--?--) Abel (1730-1804) is #225 on my Ahnentafel List, my 5th great-grandmother, who married #224 Michel Abel (1719-1791) in about 1755, probably in New Jersey. 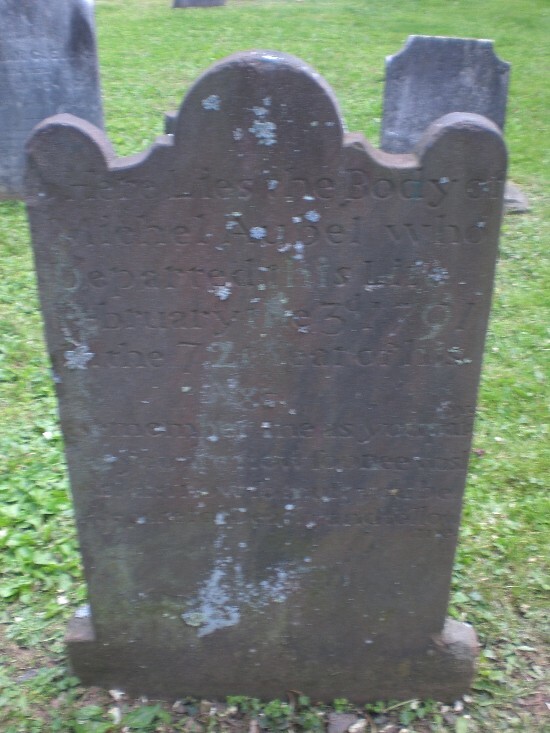 * their son, #112 Johannes Able (1758-1818), who married #113 Sophia Trimmer (1755-1811) in 1777. * their son, #56 John Able (1780-1831), who married #57 Mary Row (1787-1863) in 1804. * their son, #28 David Auble (1817-1894), who married #29 Sarah Knapp (1818-????) in 1844. * their son, #14 Charles Able (1849-1916), who married #15 Georgianna Kemp (1858-1952) in 1898. The information on this Abel family was obtained from the book The Able Aubles by Juanita Hayter Crampton. Christina was born about 1730, probably in Morris County, New Jersey. The Find A Grave memorial says her maiden name was Buhner, but I have found no records with that maiden name. Michel Abel married Christina in about 1755, and they had nine children between 1757 and 1771. The names of the children may provide some clues to the names of their parents - they were Andreas, Johannes, Matthias, Mary, Jacob, Anna Elisabeth, Catharine, Eva and Christina. Both Michel and Christina Able are buried in the Zion Lutheran Church graveyard at Oldwick, Tewksbury township, Hunterdon, New Jersey. There is a footstone with "C.A. 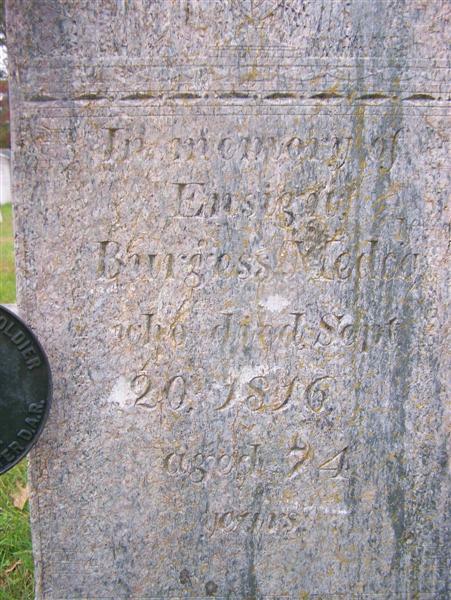 1804" on it, with no headstone. This stone was beside another footstone "M.A. 1791" (which could possibly be Michel Abel). 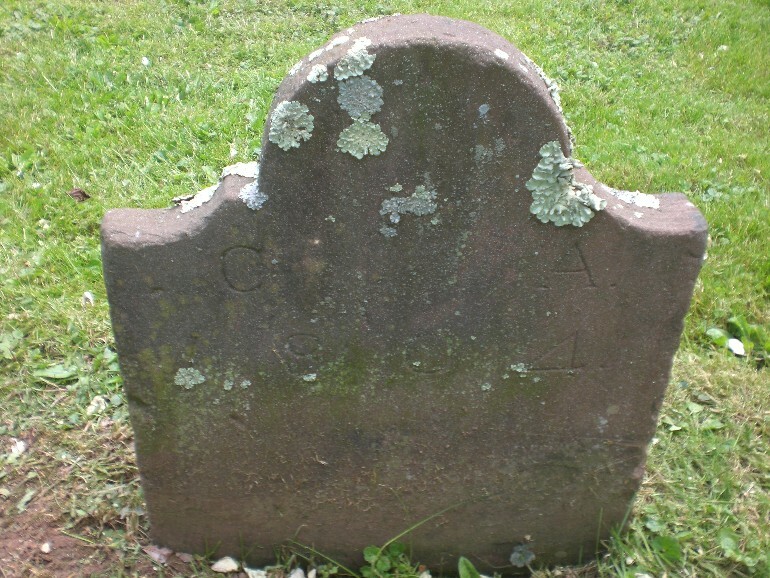 This footstone is assumed to be the grave marker for Christina Abel. 1. Juanita Hayter Crampton, The Able Aubles (Utica, Kentucky: Mcdowell Publications, 1987), pages 29-31, Michael Able family sketch; digital image, FamilySearch Books (https://books.familysearch.org/). 2. Jim Tipton, indexed database, Find A Grave (http://www.findagrave.com), Zion Lutheran Church Cemetery, Oldwick, N.J., Christina Buhner Abel memorial #95615196.